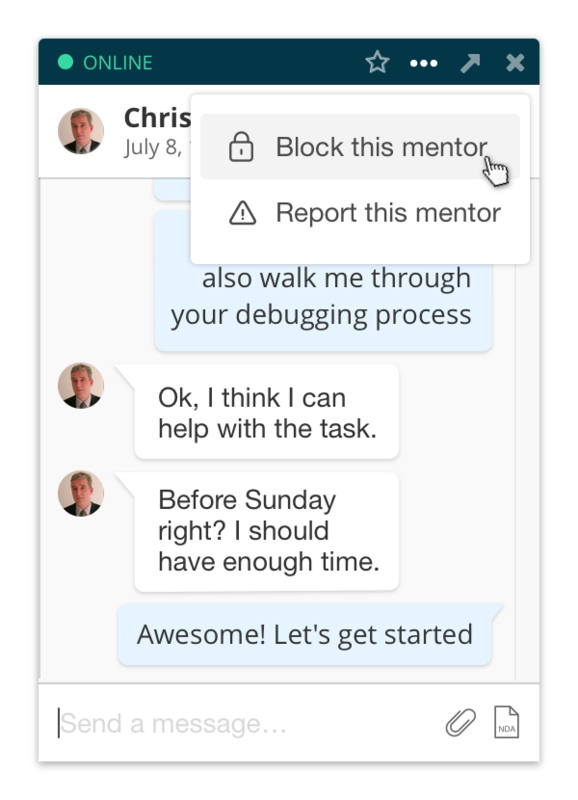 You can block a user/mentor by clicking the ellipsis (three dots) from the upper right corner of your chat window, as shown in the image below. You can also send a report to us if a user or mentor may be violating our Terms of Service. How do mentors request a freelance job from users?